Shamanic Reiki: Reiki or Shamanism or Neither? Can It Help You? It’s a question that comes up often, but this time the person asking was a Reiki practitioner who is a student of shamanism, and shamanic Reiki didn’t make sense to her. No wonder she was confused. Shamanic Reiki is an oxymoron, because while shamanism and Reiki are each valuable and useful, they are opposite approaches. And both terms include diverse practitioners, so we need to take a broad view. I love and deeply value shamanism. Truly, what’s not to love in nature medicine? Shamanism is the traditional medicine that has developed in indigenous cultures around the world to address people’s needs to regain health and well being. There are many flavors of shamanism because it is grassroots, sky-high medicine that has grown organically from the riches of the surrounding ecosystems — forests, deserts, steppes, etc. Shamanism uses the medical model of diagnosis followed by an intervention to create a specific change in the patient. Shamanic practices are deliberate interventions targeting a very specific goal. Reiki is a spiritual practice that encourages balance throughout a person’s system. Like all spiritual practices, Reiki has therapeutic benefits. Those benefits, however, are the by-products of the natural and comprehensive balancing that occurs rather than the result of a targeted intervention. Reiki practice is passive. Reiki practitioners passively place their hands. It’s an offering that can evoke a response from within the receiver. As Reiki practitioners, we don’t actively intervene in the receiver’s system. We don’t have to work the way shaman have to work. I personally love that! Shamans target specific goals with their medicine. The results might be apparent immediately or take a while to unfold. While people often make comments such as, “I get Reiki treatment for my migraines,” that’s a casual and misleading shorthand. Reiki practice influences the whole system toward balance rather than targeting specific outcomes. People receiving a Reiki treatment may or may not get the specific result they hoped for after their Reiki treatment. They will, however, feel better because when we are balanced, we feel better. A balanced system is not holding stress. And when we feel better, we function better and we make better decisions. Which might lead you to choose to more Reiki treatment to help you stay balanced. And it might lead you to work with a shaman to address specific issues that unbalance your life. Both shamanism and Reiki are as relevant today as ever. They are living practices. Different does not mean less than. It simply means different. And different can be complementary. For example, someone who practices Reiki can place her hands on herself for support during a shamanic session. Shamanism and Reiki each provide needed support to help us grow and thrive and recover from injury or illness. They are especially valuable today because conventional medicine doesn’t address our spiritual needs. Shamanism and Reiki practice can complement one another, and support patients undergoing conventional medical care. But can shamanism and Reiki be combined into one practice? I don’t see how. Do you? Please leave a comment below. *After publishing the above article, I was informed there is a book titled Shamanic Reiki. My article is in no way directed at that book, which I have not read, or at the author. Rather, my article is the most recent discussion of a recurring theme which I have addressed in prior articles such as Japanese Pizza, about honoring both the diversity and the individual integrity of traditional practices. Reiki is complimentary to any work you do. whether it be massaging, shamanism, psychiatric care, etc..
Mary McFadyen was my Reiki Master. She always said to add Reiki to everything, but to add nothing to Reiki. I like how you clearly delineate these two practices. Many Blessings to you, Pamela. LOVE that quote, William, thank you! Lucky you to be Mary’s student. 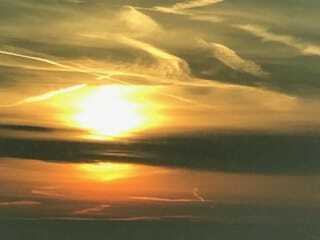 Terrible opening photo of chemtrail filled/geoengineered sky. Promote Reiki? – yes. chemtrails? – no. Really, Renee, you see my photo as promoting chemtrails? All I saw was the light breaking through everything else. Thank you, Pamela. 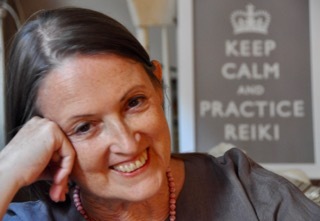 Love your clarity and commitment to support us master teachers and practitioners on our Reiki journeys. I’ve increased/improved my personal practice and planning my first teaching experience for October. Your resources are invaluable and immensely appreciated. I practice both Reiki, Reki Drumming and shamanic practices. Reiki Drumming as you may be aware is Shamanic Drumming and completed with Reiki based upon what I get in visions whilst drumming. I am Eastern trained so do not do hands on as intuition plays a great part of my work. I agree Reiki and Shamanism are two different entities but in the right circumstances I can join them by using Reiki Drum techniques. What does “Eastern trained” mean, Ron? My understanding is that both Usui and Hayashi practiced hands-on. I teach Reiki as well as some shamanic practices. They are separate practices with separate roots. It does not benefit students, or the community, to confuse the two. If someone comes to me for Reiki, that is what they get. If I feel that they would benefit from a shamanic session, then I schedule a separate session and make clear to the client what I am proposing, and that it’s not Reiki. I also don’t think it benefits the Reiki community when well-known Reiki teachers combine shamanic practices with Reiki, and call it Reiki. It isn’t. He also doesn’t specifically state that it’s not Reiki, but has branded it as Reiki. Because Reiki and shamanism are both without any type of regulation – and I think it should stay that way – then you have to watch out for the practitioners. Find out who they are and their background, and exactly what you’re going to get from that person. Reiki and shamanism are not in my opinion practiced simultaneously in the same moment, but alternated as needed within a treatment. I think it works well to conduct the Reiki treatment and then add in Shamanic techniques if and when the practitioner is called to do so. I understand that it’s important not to confuse the public about what Reiki is and isn’t, and by calling it Shamanic Reiki you are conveying that you are offering something other than straight Reiki. My opinion. Thank you for addressing this Pamela. You have such depth of wisdom around Reiki and I consistently appreciate your clarity of expression that comes from this depth. Over the last 2 years I have heard several folks in my community talk about Shamanic Reiki and my intuitive reaction was one of hesitant caution. Now I have some words that resonate and will allow me to give expression to my inner knowing. I believe we bring on whatever gifts we have into our sessions. and whatever energy healing we pull in is not always in our control. I work with all sorts modalities and it works.We get so caught up in this way/that way of enery.it is all the same.itbus all for the greater good. This is the way in which these practices can work hand in hand. I’m a lover of both shamanism and reiki, both have brought such vigor and depth to my life. It’s ok to make a clear distinction between the two and it’s also ok to blur the lines. I feel like it’s up to the individual practitioner. If you feel like you can work both at the same time then you are. If you feel they are separate then they are. We create what we want based on what we believe, I feel it’s an individual choice. We live in an abundant world with an abundance of ideas and beliefs…as long as you are in integrity with yourself and others, why not? At the end of the day it’s your alignment to well being that’s truly important. How you get there is up to you. Agreed, Pamela, Reiki practice can support someone undergoing a shamanic process, but that doesn’t make it Shamanic Reiki. They are two distinct practices. I don’t see it as a matter of integrity but rather a matter of clarity. If it’s confusing to Reiki practitioners, imagine how it confuses the public. Is that helpful to either practice? so articulate you are, and kind, honoring both practices. i’m writing now to inquire what you thought a session would correctly be called that utilized both, and as you say distinct, practices? my clients love it for what it is, but I’d like to honor the wisdom of my elders in the naming of it as i move forward. i thought shamanic reiki included shamanic not as an adjective, but as a descriptor, ie. including both. Selby, an adjective is a descriptor, a word that describes the noun. So “shamanic Reiki” would mean Reiki practiced in a shamanic fashion, which is why it is an oxymoron. Regardless what you decide to call your sessions, what’s important is to determine whether your potential clients understand what your sessions involve. There might not be a single term that does that. Even a term such as “Shamanic healing + Reiki practice” might not communicate to some people who don’t know the difference. More communication is needed to be sure people are making informed choices, which is good for them and good for you. I totally agree with your take. I have studied Peruvian shamanic practices, drumming and also do reiki. I do not combine the two. They are all so very different and all so valuable. I love your very detailed explanation of the differences of these two practices and the great value each has to offer. Thank you! This topic has come up for me and I am glad that you have addressed it. I notice that Reiki is combined with not only Shananism but many other modalities as well. Your answer makes complete sense to me, clear and to the point in your usual way. I love that you find the positives in other practices while also clearly pointing out that Reiki stands on its own. I agree that the two are different and complementary. I wonder if those who call it Shamanic Reiki are Reiki practitioners who are also trained in Shamanism and simply link the two names together because they may offer patients or clients both modalities? It could be, Paula. In these unregulated practices, we all function based on our own understanding, and often without thinking how we impact the public’s awareness of the practices. Thank you Pamela. I am so glad that you are so clear about what each is. I don’t feel the two can be practiced as one either. Let Reiki be what it is in each of us and let the practitioner keep their ego out of the healing of others. Keep up your good work of promoting Reiki for what it is, Spiritual Energy. Thank you for your kind words, Liesl. For the record, I promote Reiki as a spiritual practice. Reiki-ho consist of two inseparable components: spiritual practice (5 precepts) and physical practice/energy healing via using the palm of our hands. The energy healing is an intrinsic part of many natural therapies. 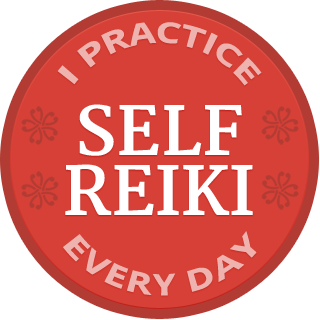 So, I guess that, for a sake of clarity, it might be good to replace the name Reiki , which is commonly used to refer to energy healing, with a full name of this Japanese healing method – Reiki-ho. This may help to avoid mix ups and confusion with other methods utilizing the universal life energy. Thank you. Thank you, Vikki. The Reiki community is so diverse and diffuse that it seems we are past the point of making the changes en masse that would bring clarity. BTW I personally don’t make the distinction you draw between the Precepts and hand practice. To me, all Reiki practice is spiritual, the Precepts and the laying-on-of-hands, and like all spiritual practice, it benefits the whole person, including physical, emotional, mental.